If you are looking for stylishness and ease of use in a pink vape pen, you have come to the right place with the Pink eGo T starter kit from Slim Vape Pen! Our Pink Vape Pen starter kit is perfect for beginners and experienced vape pen users alike. We carry the Pink eGo-T Vape Pen as well as the Pink eGo Twist Vape Pen 1 and the Pink eGo Twist Vape Pen 2 so take your time and pick something that works for you! Both of these starter kits come with everything you need to begin vaping and have the highly ranked as the best vape pens in the wonderful world of vaping. The most popular pink eGo vape pen is the eGo Twist because of the variable voltage functionality. Start Shopping for your new Pink Vape Pen today! The Pink eGo T Vape Pen Starter Kit is one of our most popular vape pen models, and our customers are consistently impressed with how well it works and how easy it is to use. The pink eGo T vape pen comes with a bottom coil vape pen clearomizer tank, which means that the wick is always saturated with delicious flavored e juice. This means that the pink vape pen delivers consistently great hits, with clouds of lots of satisfying vapor. Since the atomizer coil is a little farther away from your mouth than with a top coil pink vape pen, the vapor you get with the pink eGo T/ T3s combination is WAY BETTER than with a top coil vape pen model. Many of our customers find that this allows them to taste the vapor flavors better, providing a better, more flavorful vaping experience. Bottom coil pink vape pens such as the eGo T/ t3s are well known for being easy to fill and easy to care for. There is almost no chance of burning out your atomizer coil, unless you try to vape when the tank is dry or do not clean it out when it gets clogged with residue from your e juice. With the pink vape pen and a clear t3s tank, you can always see how much e juice is in your pink eGo T vape pen, so you know when you need to top it off or refill it. The Pink eGo T vape pen starter kit from Slim Vape Pen comes with 2 pink vape pen batteries (900 mAh), 2 clear T3S clearomizer tanks, a carry case, a bottle of premium e juice made in the USA, a USB charger and a wall adaptor. The 900 mAh pink vape pen battery is our medium size, so it is large enough to be able to vape for a long time before recharging, but also small enough to easily tuck into a pocket or a purse. You can also get larger and smaller batteries, sold separately, to customize your vape pens your own vaping needs. Our premium e juice is provided by Nicloclean e juice, a top quality e juice company that crafts delicious e juice flavors with the best quality ingredients. All Nicloclean e juice is made in the USA, so you can depend on it being made out of the finest food grade quality ingredients. For the best quality and most delicious flavors available for e juice and vaping, count on Slim Vape Pen with a Pink Vape Pen to get you what you need! With the eGo Twist battery or the Vision Spinner, you have full control over the vapor production. If you want less vapor, just turn it down, and if you want more vapor, turn it up. The voltage settings range from 3.2 to 4.8, giving you a huge range of vapor production levels to choose from. Play around with it and find out what you like! Different circumstances often call for different amounts of vapor, and you may also find that different flavors perform best at different levels. The Pink eGo Twist battery starter kit has a high quality mirror finish and looks completely sophisticated in any situation. All our Pink Vape Pen eGo Twist starter kits (2) come with 2 pink eGobatteries (900 mAh), 2 clear T3S clearomizer tanks, a carry case (Pink Vape Pen case sold separately), a bottle of premium e juice made in the USA, a USB charger and a wall adaptor. The 900 mAh batteries are the medium size of eGo batteries offered – big enough to hold a charge, but small enough to slip into a purse or pocket. You can also interchange them with larger or smaller batteries if you prefer, sold separately. Questions about Pink Vape Pens? One of the questions our customers ask frequently at Slim Vape Pen is, “Can I get this in more colors than just black?” It is true that when vape pens first came out, you could get them in only black. 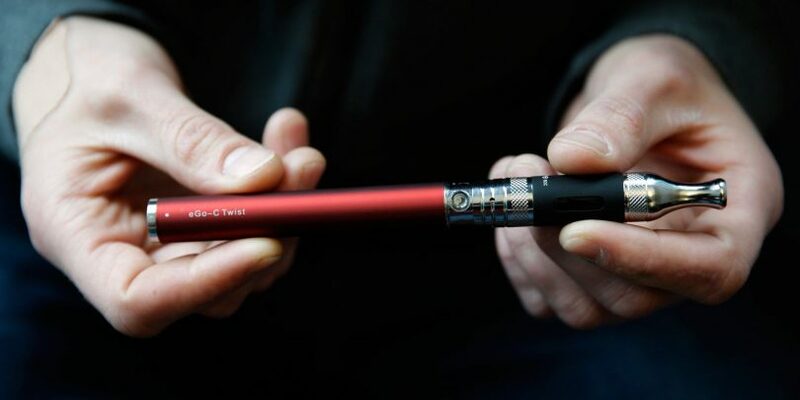 In fact, when the technology was first introduced, you couldn’t even get white: e cigarettes were all there were, and if you didn’t want something that looked like a cigarette, then you were out of luck. Thankfully, we have come a long way since that time not too long ago. Now, vape pens are sleek and stylish fashion accessories, and you can indeed get them in all the colors of the rainbow and most importantly PINK. If you are looking to use your vape pen as an accessory or make a statement, or if you want it to match your outfit or your purse, you can most definitely do that with pink vape pens at Slim Vape Pen! For people who are just getting started and aren’t ready for a whole collection of vape pens, though, the best place to start is with a cool color such as the Pink Vape Pen eGo T starter kit. For a vape pen starter kit, you want it to look great no matter where you are and no matter what you’re wearing. The time to collect a whole rainbow of vape pens and fill them all with different flavors of e juice is here! This is the style! You don’t need to settle for a simple, basic, white or black vape pen starter kit, PINK is now in the house! There are many reasons that people start vaping and need a vape pen starter kit. Maybe you are tired of smelling like cigarettes and want something that does not have an unpleasant, lingering odor. Maybe you are looking to lower your nicotine intake, pink vape pens from Slim Vape Pen, have helped many people with a new lifestyle into nicotine intake. Whatever reason you have for vaping, we at Slim Vape Pen are here to give you the pink tools you need to succeed and have fun! The Pink eGo t Vape Pen Starter Kit with 1 900mAh Battery and everything else you need to get started!